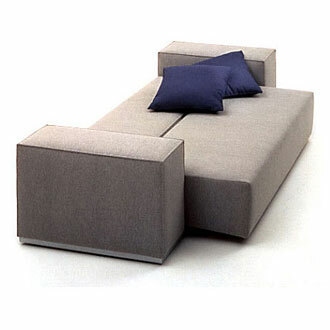 System of seating units composed of armchairs, sofas and a bench, each of which hides its own unique movements. 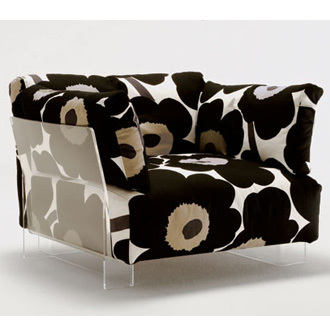 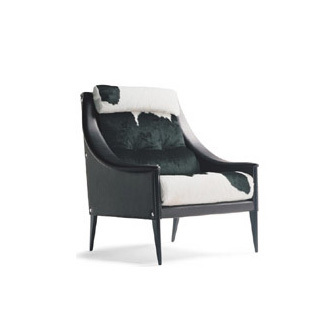 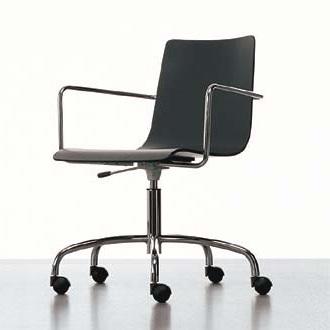 The armchair with fixed armrests is swivel (the armchair can be fixed through a knob). 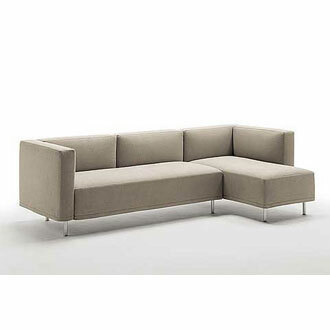 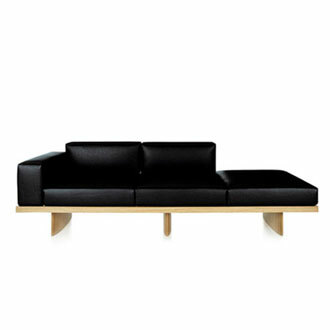 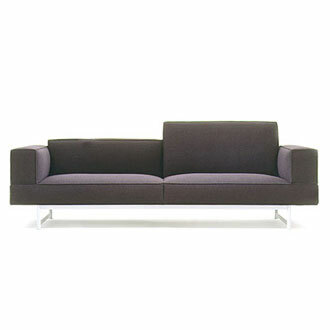 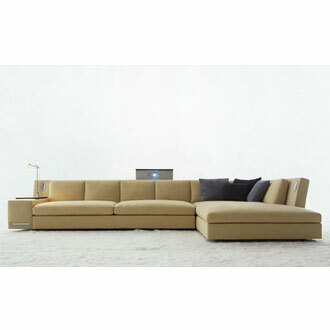 The sofas with armrests, available in three widths, allow two different back positions (high or low). 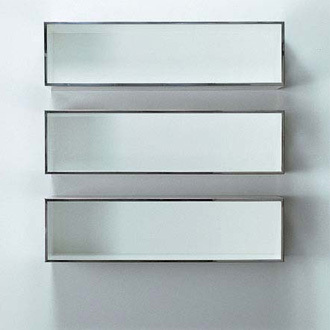 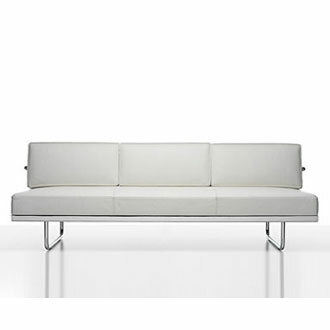 All of the units have a visible frame made of painted steel glossy or mat aluminium colour. 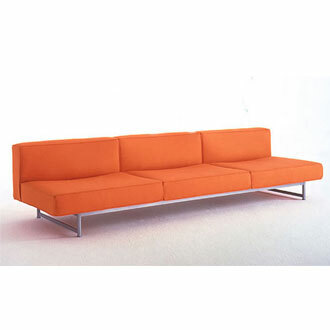 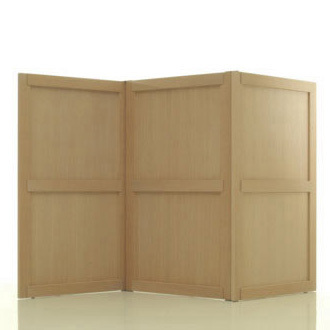 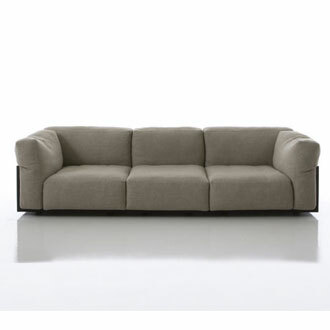 Steel internal frame, upholstery in differenciated density CFC-free polyurethane foam and polyester padding. 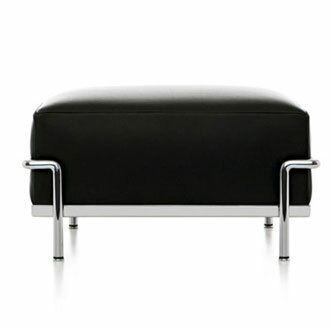 Covers in removable fabric or leather. 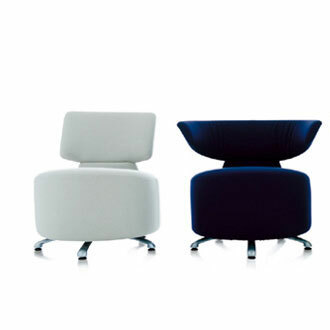 The seating system is completed with a cube/ottoman on castors, upholstered with a special glossy fabric in the colours black or white. 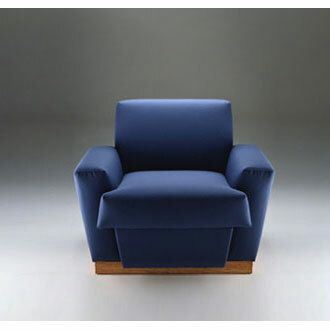 The armchair with no armrests has seat with end parts which can be tilted at two different positions, converting them into supports/armrests. 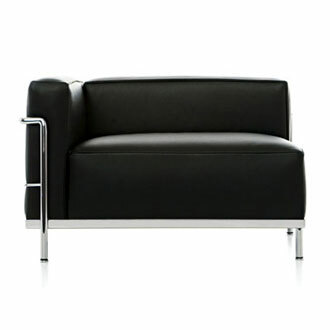 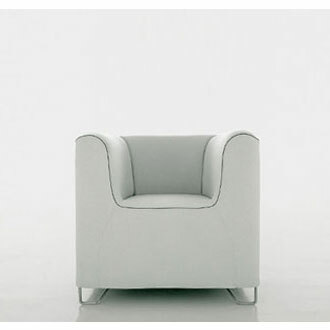 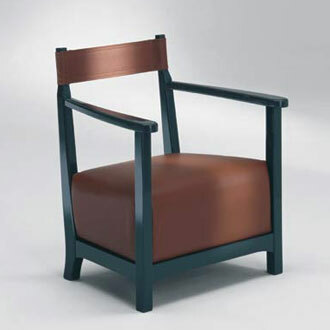 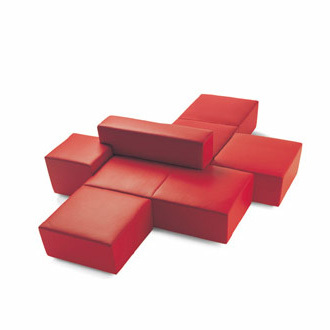 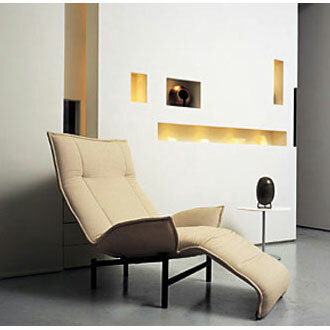 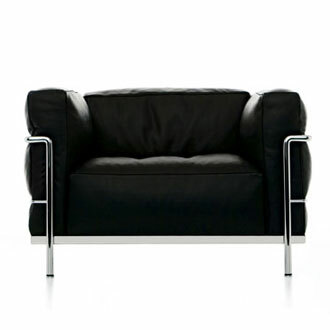 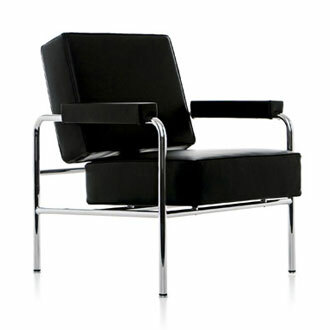 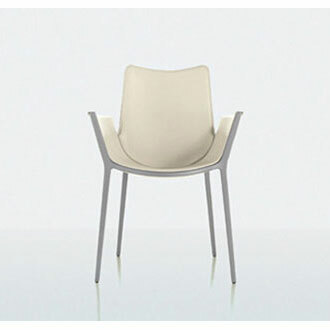 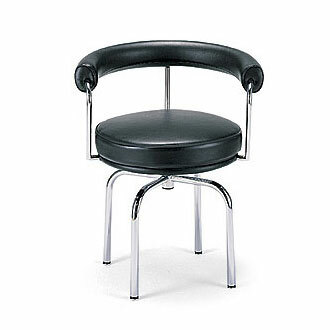 This armchair can be supplied with an aluminium colour pull-out top. 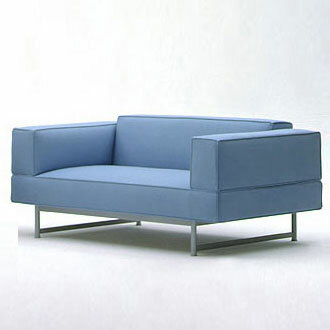 The sofas with no armrests, available in two widths, have the end-parts of the seat with the same characteristics as the armchair with no armrests. 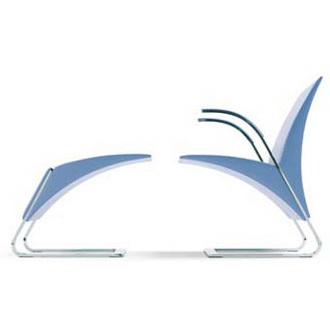 The bench has a suitable seat for a chaise-longue configuration; one end part can be tilted at four different positions to be used as headrest, the other end part can be tilted in the middle and used as a support for the legs. 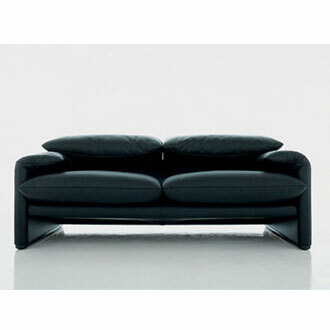 These movements of the seat feature also a sofa with no armrests having the same width.